As I cranked up some cheesy 80’s pop, the sunny good vibes came a-shining down; courtesy of High Altitude‘s summertime-y strain Cynex. We’ve checked out their product before (awhile ago), and the consensus was solid. So months later, how does it stack up? Pretty good, obviously – or we wouldn’t be writing about it. 3.5 grams will run you $45-$50 at most retailers. 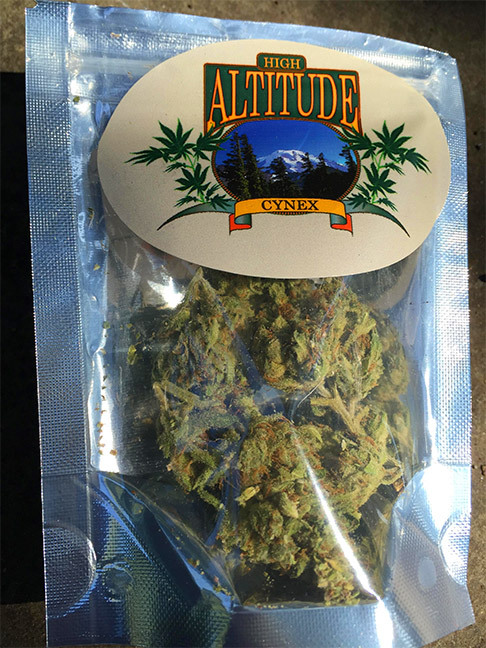 After doing some intense investigative research, I’ve learned that High Altitude is a brand of Polygenix THC, which is owned by CPNL, LLC. 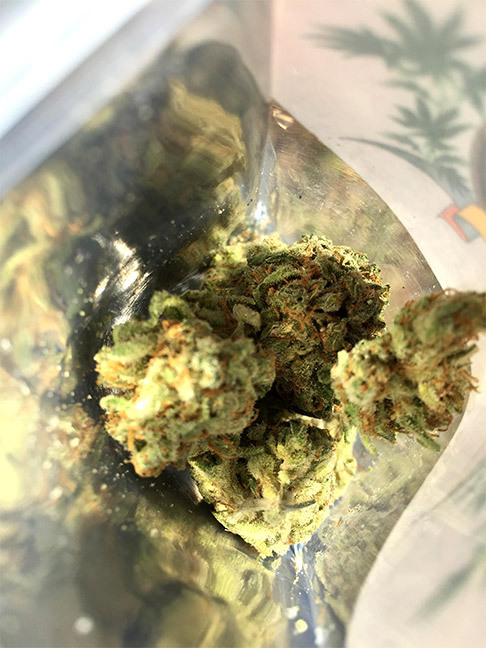 There aren’t any websites for the identities mentioned prior, but there was some information available from an interview through Main Street Marijuana (a recreational pot shop with multiple locations in Washington). Polygenix THC is comprised of three owners, all possessing knowledge of marijuana production from previous experience in the medical field. Based out of SODO – they may not have an internet presence, but I really enjoyed Cynex. So, elephant in the room: is it Cinex or Cynex? After countless Googling, the result was non-conclusive – perhaps a spelling error has occurred in the “I-Y” department. Either that, or it’s some sort of variation on the known strain. Or maybe it’s some sort of wordplay. I wish things like this didn’t matter so much to me. C(y? )inex is a strain born from Cinderella 99 x Vortex. It’s known for it’s energetic, focused, clear-headed and creative high. Medically prescribed to suppress pain, and depression. 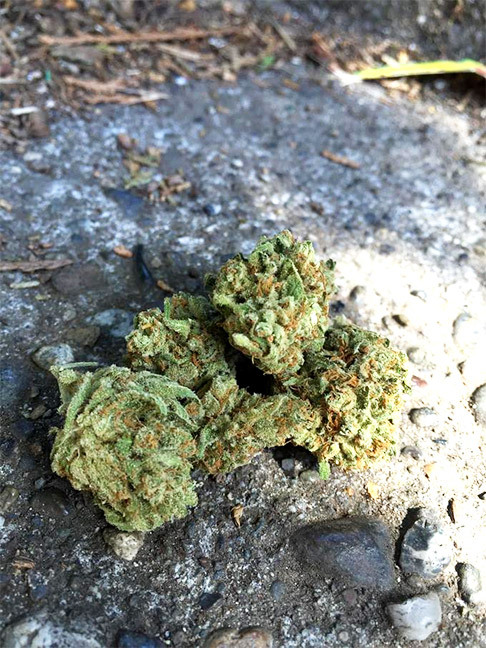 The buds were fluffy, sporting a neon green and golden hue; the packaging obviously kept the freshness intact. After hitting the grinder, Cynex burned smoothly in both pipe and vaporizer. Cracking open the package, there was a distinctive tea aroma. Hints of lemon, spice, honey – it was like a steeping cup of skunk. Ew, right? It sounds a lot worse typed out, now that I think of it, but whatever. You get it, avid stoner. The flavor held a certain funk as well, kind of like rubber bands. Mmm (seriously). 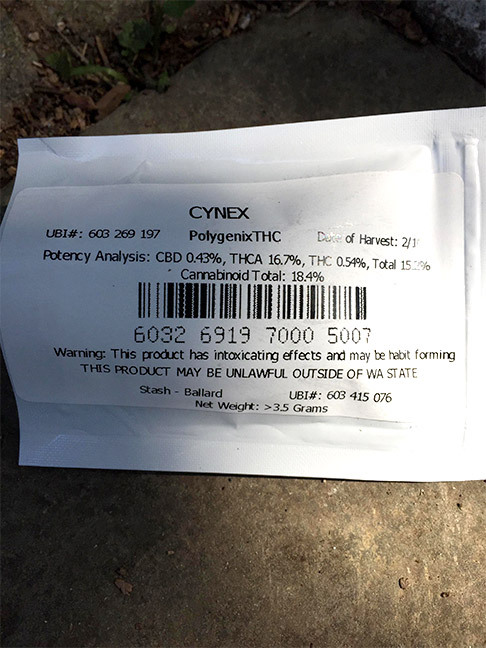 Getting high with Cynex is super chill (ugh, it sounds so cliche). What I mean is the functionality and motivation were super apparent, and enjoyable. Getting stuff done is easy, no worries. This is a great “chores” strain; before you know it, you’re done and havin’ fun (thumbs up). Split open a pineapple, crank the tunes to eleven, pop open a brew (anything Melvin, at the moment, thanks) and enjoy the summer life with this bud. The day becomes night easily with Cynex. The last time we reviewed High Altitude was in early 2015, and it’s apparent that they’ve held their integrity since (regardless of having a website). It’s always important for us to check in and see if standards are still up to par, Cynex was a pleasant strain that I’d smoke again – given the chance. You can find High Altitude products at Ganja Goddess (SODO), among other shops in the Seattle area.